At Good Jobs First we are normally pleased when another organization takes an interest in our issue and adds its voice to the campaign to end the wasteful subsidies given to corporations by state and local governments. Yet when it’s the American Legislative Exchange Council (ALEC) signing on, we can’t be quite so welcoming. ALEC, a lightning rod for controversy relating to its role in promoting voter suppression, private prisons and “stand-your-ground” policies (read Trayvon Martin), has just issued a report entitled The Unseen Costs of Tax Cronyism: Favoritism and Foregone Growth. At first glance, the study echoes many arguments we have made since our founding 16 years ago and which Greg LeRoy cataloged in The Great American Jobs Scam. It points out how the granting of special tax breaks for certain corporations (Boeing’s $8 billion deal in Washington State is cited as a “notorious example”) tends to increase the tax burden on other companies and puts them at a competitive disadvantage. ALEC also notes, using the example of the producers of the Netflix series “House of Cards” in Maryland, how companies that get subsidies to locate in a state may later threaten to leave unless they receive even more giveaways. Yet the similarities to our work go only so far. Rather than an independent research group, as ALECExposed has documented, ALEC is essentially a front for powerful corporations to transmit their state legislative wish lists to business-friendly legislators. Although ALEC’s board is made up of elected officials, the real power in the organization comes from its corporate backers. The most important of these are the 10 companies represented on its Private Enterprise Advisory Council. We checked those companies against our Subsidy Tracker database (which the ALEC authors choose not to mention, citing instead a New York Times compilation based largely on our data). It turns out that all but one of the 10 companies have received state and local subsidies. In some cases the aggregate subsidy amounts have been enormous: $340 million to Exxon Mobil, $278 million to Peabody Energy, $202 million to Pfizer, $133 million to United Parcel Service, and $89 million to Koch Industries, run by the supposedly free-market purist Koch Brothers. The total for the nine companies is more than $1 billion. The one company in the group that has apparently not received direct subsidies is Energy Future Holdings, but the struggling Texas utility (now in Chapter 11 bankruptcy) is owned by private equity firms led by KKR, whose other portfolio companies have received $55 million in subsidies. We find ALEC’s analysis here historically ill-informed and refer the authors to Jobs Scam for a primer on how corporations and their site location consultants drive the subsidy-industrial complex. Given that history, it is ridiculous to equate the haphazard nature of subsidy policies with any kind of planning. Although ALEC wants to blame poor policymaking for tax cronyism, the report also fails to acknowledge that big subsidy giveaways are common in states celebrated in the Rich States, Poor States reports written for ALEC by the unreconstructed supply-sider Arthur Laffer. For example, Utah, which Laffer ranks first in terms of its economic outlook and second in economic performance, has given generous packages to companies such as Procter & Gamble, Goldman Sachs, eBay and Adobe Systems. Besides the hypocrisy and lack of historical awareness, ALEC’s report has another fundamental problem (akin to that of other conservatives such as those at the Mercatus Center): their alternative to “tax cronyism” or targeted corporate tax giveaways are generalized corporate tax giveaways. That is, after decades of declining corporate tax rates and corporate contributions to state treasuries, they want big business to pay even less of a fair share of the cost of public services. At Good Jobs First, subsidy reform is intended to improve economic conditions for working families and give small businesses a fairer shake; it isn’t about reducing tax rates for corporations like those bankrolling ALEC. Ohio and Cincinnati have agreed to give General Electric a record subsidy deal which will be mostly composed of its workers’ personal income taxes. About 1400 jobs will be relocated, from undisclosed locations, as GE locates its Global Operations Center to downtown Cincinnati. GE projects another 300 new jobs to accept this $98 million subsidy package; that’s about $326,600 per job. It’s not just the exorbitant cost per job, but also the source of the subsidy dollars: an estimated $51.6 million will Ohio’s Job Creation Tax Credit (JCTC) program, a subsidy derived from employees’ state personal income taxes. 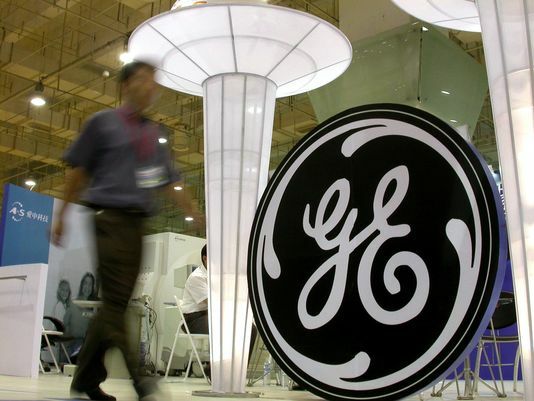 Essentially the state of Ohio will use the employees’ state withholding taxes to credit GE. (For more information see Paying Taxes to the Boss.) This represents the largest JCTC deal Ohio has agreed to since 2003, according to the Ohio Development Services Agency. Not only will the state sacrifice tens of millions of dollars in tax revenue, but so will Cincinnati. Offered in conjunction with the state JCTC is the City of Cincinnati municipal JCTC estimated at $23.9 million via GE’s local earnings tax. In short, other states and localities are losing tax revenue, while Ohio and Cincinnati forgive it. Although the GE jobs will have a projected average salary of $79,000, it is unclear how many of the 1,500 existing jobs are coming from other cities in Ohio versus out of state. To the extent the jobs are already in Ohio, the JCTC will cause a revenue loss for the Buckeye State. At the very least, Good Jobs First recommends truth in taxation: when a worker’s taxes are deducted from her paycheck and do not actually go to the state treasury, the pay stub should clearly state that GE is getting the money. Instead of fixing roads or supporting education, healthcare, or public safety, the money will flow into GE’s books. Those same books stash profits in offshore tax havens like Bermuda and the Bahamas, according to recent findings by Citizens for Tax Justice. Cook County, IL Succeeds at Truth in Taxation! One year ago today, Cook County Clerk David Orr announced plans to print TIF revenue diversions on county property tax bills. We previously blogged about this effort, eagerly awaiting this TIF transparency enhancement. Wait no longer! The Cook County Clerk’s office made good on its promise of taxpayer transparency and has issued property tax bills containing information about TIF for each individual property owner. For that we congratulate them on bringing needed sunlight to TIF in Chicago and other municipalities in Cook County. We hope jurisdictions across the country take notice of Cook County, Illinois. Taxpayers have a right to know how their taxes get spent. With so much property tax revenue in Chicago never ending up in the city’s general revenue fund, printing TIF costs on tax bills enables citizens to make better judgements about the value of TIF projects and how their taxes get spent. We applaud such efforts. For more Good Jobs First research on TIF revenue diversions in Chicago, see our 2014 report. Washington, DC – The most common form of job piracy-among neighboring localities in the same metro area-can be ended, as agreements in the Denver and Dayton metro areas have proved for decades. The agreements prohibit active recruitment within the metro area, and they require communication and transparency between affected development officials if a company signals it might move. Those are the main conclusions of a new study released today by Good Jobs First. “Ending Job Piracy, Building Regional Prosperity,” is online at www.goodjobsfirst.org. A bill signed this week by Missouri Governor Jay Nixon has the potential to solve one aspect of the wasteful jobs border war currently ravaging the Kansas City metropolitan economy: the use of state subsidies to fuel intra-regional business relocations. Senate Bill 635 would prohibit the state’s business subsidies from being awarded to businesses relocating within the two-state metro area from Kansas to Missouri. 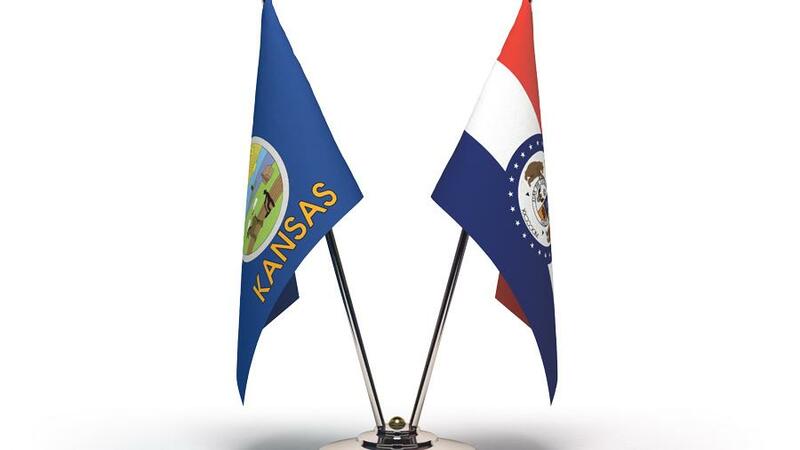 However, the law will only go into effect if Kansas enacts a companion law limiting its own use of state business incentives in the Kansas City metro within the next two years. For its part, Kansas has signaled little interest in supporting a companion bill, citing the need of local suburban jurisdictions to pursue their own economic development agendas. This is an ironic position to take, given the extent to which state subsidies have interfered in metropolitan economic dynamics in the region. The best way to allow localities to pursue their own economic development agendas would be for both states to stop providing ammunition for the border war.